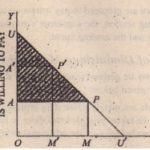 Although incapable of precise measurement, the concept of consumer’s surplus has a great practical utility and theoretical importance. Conjectural importunate enables us to Coimbatore the advantages of environment and opportunities, or conjunct Ural benefits. A person gelling Rs. SOU in Delhi can enjoy better amenities of Ii(c than a person gelling Rs. 1,000 in a place more remote from the center of civilization, It also enables us to compare the economic conditions of the people at different times. The larger the consumer’s surplus the Bella off ale the people . Public Finance, The Finance Minister considers while proposing fresh taxation, how much the people arc willing to pay for a thing and how they will affected by a rise in price resulting from the imposition of a tax. Where the consumers are enjoying a surplus, there is scope for taxation, for the people are willing to pay more. The rise in the price will not affect the demand much. In the case of constant return, the consumer’s surplus will be diminishing by more that the gross receipts of the State. 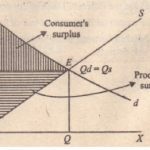 On that part of the consumption which is maintained, the consumer looses what the State receives; and on the part which is destroyed by the rise in prices, the consumer’s surplus is destroyed and there is no payment to the State. Conversely, the . gain of consumer’s surplus in the case of a bounty is less than the bounty itself. Value-In use and Value-in-Exchange. We know that the market value of a commodity is different from its utility or value-in-use. Commodities like salt and match box have great value-in-exchange. The consumer’s surplus from such commodities is very large for we are prepared to pay much more for such commodities than we actually pay. 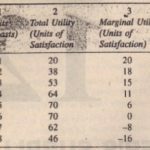 Consumer’s surplus depends on the total utility, i.e., value-in-use, whereas the price or value-in-exchange coincides with marginal utility. The doctrine of consumer’s surplus, therefore. clearly brings out the distinction between value-in-use and value-in-exchange. It is large where the value-in-use is large even though the value-in exchange may be small. Cost-Benefit Analysis. 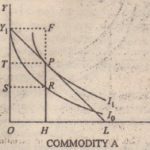 The concept of consumer’s surplus is found useful in working .Frostbitten analysis of an investment. Cost-benefit analysis is considered very essential for determining the desirability or otherwise of an investment expenditure in a particular project. The extent of consumer’s surplus expected from a project is a very important determining factor in decision-making in such cases. We have to weigh the costs and the benefits. The larger the consumer’s surplus beneficial is considered the investment. Thus, the concept of consumer’s surplus is a useful tool for the formulation of important economic policies.